Also known as Sweetheart Plant Oxycardium is a great vining indoor plant. Toughest of all house plant it's very easy to maintain and can literally take care of itself. If you want a disease free, healthier roots and higher surviving plant then our luscious beautiful tissue cultured plant are ideal for your home. We at Nurturing Green provide you specially tissue cultured pants conditioned to be better indoor plants. Dimension: 4" x 4" x 5"
DO's: 1.Ideally keep them at a place which gets 3-4 hours of morning/evening Indirect Sunlight. 2.DO the pruning of old leaves which turn yellow to avoid fungal attack. 3. DO check the coco peat before watering . A plant will use different amounts of water seasonally. Ideally water them every alternate day for roots to get optimum supply. 4.Put manure every 6-8 months for better results. DON'Ts: 1. DON'T give them direct sunlight otherwise there leaves might get burn 2.DON'T overwater your plants. 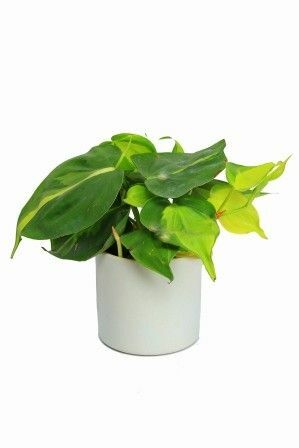 The most common cause of houseplant death is over watering 3.Avoid temperature shock for better growth.